Thank you! From what I read on your fabulous blog, your girls are surrounded by a very rich learning environment. It’s wonderful how you are able to do all the things you do together in addition to school! Lucinda, You are an inspiration to me. 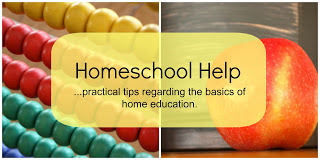 Thanks for joining the Homeschool Help series. You are a real asset. Ahh, thank you so much, Savannah – I am loving the topics you chose! Lucinda, it sounds like you are going to have an awesome year! I can’t wait to follow along! When we take the focus off of the “what” we teach and onto the “who” we have in front of us– oh the doors that open! That quote is awesome! I had to pin it. It’s a goodie, isn’t it? To a wonderful year to you all! Lovely Sue and her kids are a beautiful recommendation for unschooling aren’t they. She makes it look so easy, I adore that woman. I cannot unschool, I have tried to, but I panic, as I am a bit of an A-type personality. It seems to work as my older child really likes structure and my younger one just goes with the flow. I do try and incorporate some child-led activites into their lesson time to make up for my “wussism” (yes I made that word up 😉 ) for not giving unschooling a go. “Wussism” – I love that word. (I think I’ve probably used it about myself :-)) And I really like your comment, Lisa. We can’t just arbitrarily decide on a home educating style without taking into account everyone’s personalities – including our own! Perhaps the most important thing of all is to be comfortable with our choices (as they change from time to time). I know remembering that is an ongoing practice for me! I love John Holt. We are semi-unschoolers, too. You are always an inspiration, Phyllis. I am enjoying your blog. I seemed to have found it at just the right moment in our own homeschool adventures. This post really helped me put our own school days in perspective. 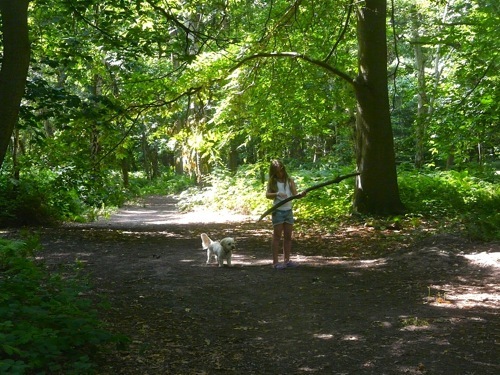 I am not to the point of unschooling yet but this year is about exploring our interests more. Thank you, Jennifer! I’m enjoying your blog very much too – you have a way of writing that makes me want to do the activities you’ve done. I expect you inspire your children in a similar way. Thank you for linking to my blog, and for your kind words! “my unschooling friend Sue Elvis” I like being regarded a friend. Thank you! I am so glad you found John Holt’s words helpful. I love this quote and it makes so much sense. You said, “I won’t be able to resist sharing my enthusiasm for these subjects…” I am always sharing my enthusiasms with my children. They are very open to my suggestions. I think it has a lot to do with trust. My girls don’t feel pressured. They genuinely want to share any ideas I might have. I share theirs too! So maybe the same will happen with your unschooling. I look forward to sharing more of your unschooling adventure! Hello Sue, I hoped you wouldn’t mind my describing you as a friend – thank you! C(9) is mostly like your girls when I make suggestions. J(8) is a slightly different matter, as he is so interested in all-things-computer, which is more his father’s area of expertise (and interest) than mine. But then he surprises me by coming out with Latin phrases – months after he’s been in the same room as C(9) and I have been reading “Minimus” together. I like the challenge of providing an enriching learning environment for someone very different from me. Thank you for your link to Sue’s site, I spent a very enjoyable evening (read early hours of the morning!) perusing her blog. So interesting, especially the maths. I must go and leave her a message to that effect. It was too late to leave any last night/ this morning. I have GOT to get more sleep! I’m so glad you enjoyed Sue’s site – it’s very inspiring, isn’t it? I hope you got some sleep eventually! Thanks, Lula for stopping by my place! Loved having found you…will be back! Also, loved this post and the one on unschooling conference. This is originally where my heart was too as that was the first ever homeschooling book I read and the next was John Holt, who I adore. I have found myself more and more towards the more eclectic-CM-classical approach because my hubby is now much more involved and that is more his bent. My post yesterday on narrations reminded me of my heart tugging in the other direction of were we used to be. I struggle with having the faith to let my children (and God) hold the reigns and respecting my hubby’s desires (he IS the principal of this ship we’re steering!) and getting in everything I want to teach that means something to me. It is a hard balance, for sure! You’re post makes me want to go back and pray some more about where God wants us to be. Hi Amy! How wonderful that your husband is involved in your homeschooling! I just went back and read your homeschooling story – I can definitely relate to your journey. Your lovely post about your daughter’s St George story brought back some uncomfortable memories for me of stopping my 6 year old’s imaginative “narrations” and insisting he come back to the story… I think that marked the beginning of the end of Charlotte Mason for us! 😀 Oh well, as Lori Pickert reminds us – we’re learning here too!